On The Recent Removal Of Gasoline Subsidy In Nigeria. On the 11th of May, 2016, the federal government announced removal of the highly contentious gasoline subsidy. This proclamation has generated mixed reactions from the political, social and economic circles in Nigeria. While some reactions focus on the appropriateness of the policy action as well as the basis for the new premium motor spirit (PMS) price currently fixed at N145/litre, others centre on the modalities for utilization of subsidy savings. It is established that the federal government will save about N16.4 billion monthly from subsidy proceeds which translates to about N197 billion annually. This is a huge sum at government disposal and efficient utilization of these funds would go a long way in improving the economy. At present, utilization of gasoline subsidy savings is tied to social intervention programmes as clear guidance on proper channelling of the savings is yet to be articulated in a standard policy document. While the move to mitigate the impact of the new gasoline pricing reform through welfare-enhancing packages is highly warranted, it is important to consider the extent to which the policy would be beneficial to both present and future generation. Proper assessment of welfare-effects of gasoline subsidy removal necessitates answering a number of questions. What is the implication of the new policy on PMS supply? Can the new policy improveoverall welfare? What areas of critical need constitute efficient allocation of gasoline subsidy savings?Without trying to delve on the reactions trailing the N145/litre gasoline price, this article focuses on the implications of fuel subsidy removal on social welfare and provides insights into social spending that can minimize the impact of the withdrawal. 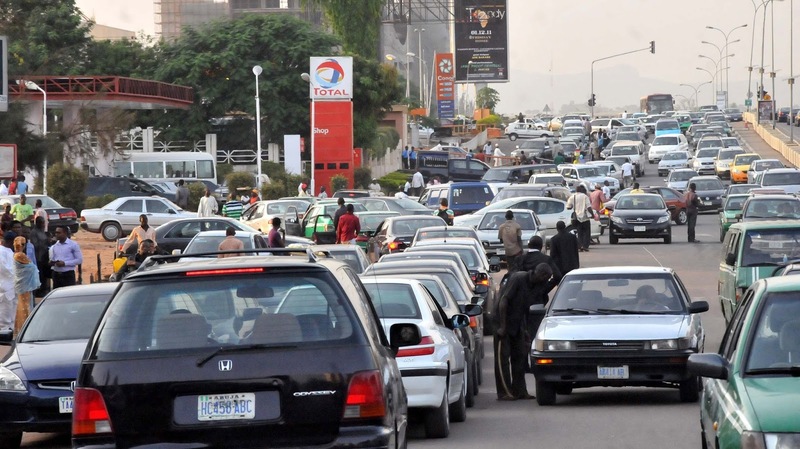 Arguments against gasoline subsidy in Nigeria point to an inefficient resource allocation. It displaces higher priority public expenditure as well as encourages cross-border smuggling which can lead to domestic fuel shortages. Also, gasoline subsidy is seen to be more beneficial to higher income group and its effect orientates against energy efficiency. Aside the inefficiency inherent in gasoline subsidy, the program is expensive to operate. Subsidy accounted for 20-30% of the total expenditure of the Federal Government; about $574billion was used to settle subsidy claims in November 2015. Sacrificing this huge amount, no doubt, is no longer sustainable considering the countrys current economic status. Following the plunge in oil price in the world market which caused large shrinkage in revenue, government is highly constrained on its ability to meet fiscal obligations. Therefore, the need to create larger fiscal space for spending in other critical areas motivates the discontinuation of gasoline subsidy. It is argued that deregulation of the downstream petroleum sector will foster competition that would enhance efficiency in gasoline distribution and drive down fuel costs to the consumers. This could be partially true only to the extent that the policy would help mitigate the problem of artificial scarcity since oil marketers can independently set price that reflects the market force. However, the possibility of achieving low fuel price in the near term remains a contending issue. Given the lack in government capacity to cover significant proportion of domestic gasoline demand, there is always avenue for oil dealers as rational investors to exploit the market to their advantage. Incentive to smuggle gasoline across borders exists as the current PMS price of 145/litre is still among the lowest in West Africa. The activities of smugglers tend to instigate fuel shortage crisis with consequent upward pressure on gasoline price. This outlook portrays the fact that in an atmosphere of subsidy or no-subsidy, oil marketers bear no brunt as they are out to make profit. The current policy is similar to inflation tax in its effect, as it translates to financial loss of value suffered by cash holders, wage earners, pensioners, and non-indexed financial asset owners. Given the transmissible effect of gasoline price on the prices of commodity and non-commodity items, the policy would, no doubt, exacerbate the inflation problems confronting the economy. This indicates low purchasing power as the same Naira bill can now command less basket of goods and services, pointing to low welfare ex ante. More importantly, the real value of 2016 budget that the economy strongly depends on might be drastically affected (by inflation) limiting its potential to improve overall wellbeing of the people as against what is envisaged by the government. Higher inflation implies the budget can now deliver fewer projects as cost structures need to be revised to reflect an increase in price. In a bid to compensate for welfare loss associated with gasoline subsidy removal, palliative measures (in form of cash and in-kind transfers) are provided by the government to improve the wellbeing of the poorest and most impoverished section of the society. This is highly necessary on ethical grounds and equity considerations. However, targeting only the poorest may not fully represent equitable resource reallocation, contrary to the position of the government. This is because the poorest may not be the most affected as assumed. In fact, a study by Umar and Umar (2013) demonstrates that a reduction in welfare due to higher (fuel) price is larger for the middle 40% income group in Nigeria compared to the top and the bottom 20%, as the middle income group has a larger budget share on fuel. Given the likelihood that significant percentage of the civil servants fall in this category, the welfare loss associated with gasoline subsidy withdrawal may impinge on workers efficiency and hamper productivity- putting quality of public service delivery at stake. Therefore, equity consideration requires that middle income group be included in the government palliative programmes. On what constitutes efficient allocation of gasoline subsidy savings, a number of activities such as youth empowerment, home grown school feeding, and education grants to students in science and technology are dominant in government Social Intervention Programme (SIP). These, if well-implemented would enhance the countrys human capital development and boost job creation the long run effect would be an improvement in the economys productive capacity. Other appropriate ways to channel the savings include investment in real estates in form of low cost housing to the poor and improvement in revenue generating infrastructures, as practiced in countries such as Malaysia, United Arab Emirate (UAE) etc. In summary, elimination of subsidy on premium motor spirit is a realistic approach towards adjusting to the current global economic slowdown. The policy action would help free up resources for spending in other areas of critical need. It would also assist in reducing fuel shortage crisis due to artificial scarcity. However, cross-border smuggling activities still persist which may undermine regular supply of PMS. This may also prevent a drop in fuel price in the near term unless a profound approach is instituted towards ensuring a more secured and efficient border. Also, the policy may compound the inflationary pressure in the economy, reduce the general welfare through reduction in real income, and contribute more distortion than imagined to the already staggering economy. Be that as it may, the economy stands to benefit from the new gasoline pricing initiative over longer horizon conditional on certain provisions. First, the existing refineries should be revamped to work efficiently at the capacity that is adequate to meet significant portion (at least 80%) of domestic demand for gasoline. Second, effectiveness in the distribution supply chain need be ensured and tailored towards quality service delivery of petroleum products to the end users. Third, consideration should also be given to an investment in revenue earning infrastructures in a way that enhance the welfare of the present and future generation. Ghana, Cameroon, Mali, Senegal and Mauritania have petrol pump prices of N185, N218.9, N228.85, N234.82 and N256.71, respectively. How To Resolve The Tariff Disputes Blocking Nigeria’s Solar Project Pipeline?